A “digital face” for your food business that guarantees perfect first impression. Your own website. 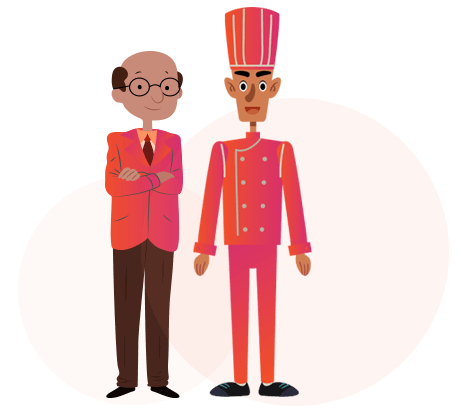 For a restaurant as creative as yours, the website cannot be just average. A beautiful and creative face for your food business is just a click away. 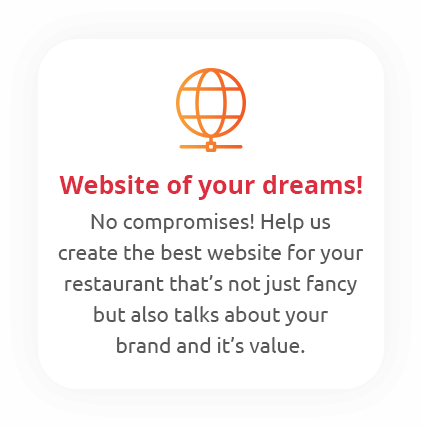 Revamp your website with us or own a new one if you don’t already have, we promise to create something special that speaks volumes about your brand and identity. Scheduling Functionality – Let your users schedule food before-hand to shred off the burden of ordering at the last moment. 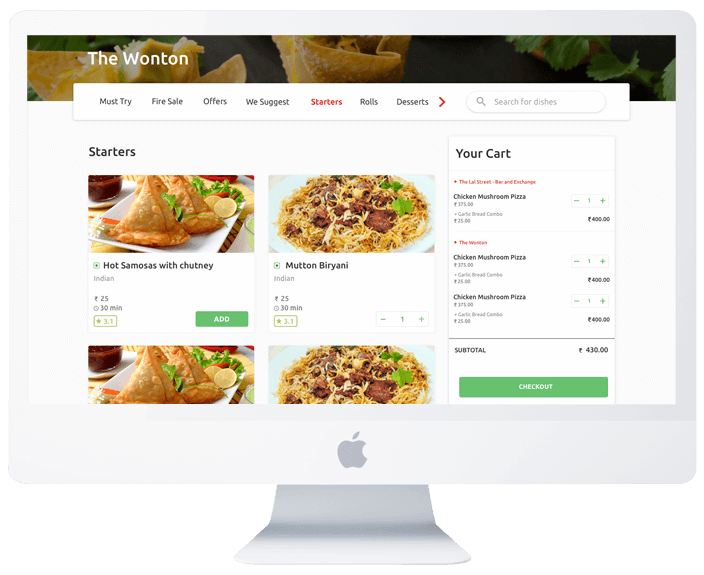 Exceptional Offers – Surprise your users with a new offer every time they visit the website to order food. Promote the dishes – We help you create exclusive promotions for your dishes to enhance sale and increase the reach. Create the BRAND – We help you build an exclusive image for your brand through the website that stays in people’s mind. SEO Friendly – We help you be on the top with our SEO friendly content that enhances your search result ranking. Gadget-Friendly – Whether a mobile, a laptop or a tablet, our team will create a website that offers a visual treat whenever opened.